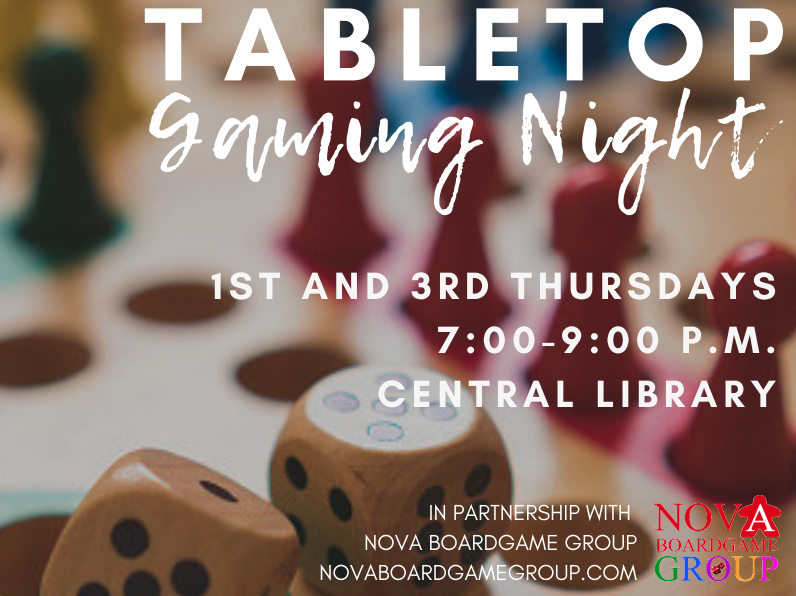 Join us this Thursday, February 7th, at 7pm in Arlington Central Library (1015 N Quincy St, Arlington, VA 22201) for Tabletop Gaming Night! Anyone age 18+ is welcome to attend. The event is free and open to the public. Parking in the underground garage, adjacent parking lot or on the street is free. We provide a variety of modern games to play, but you can certainly bring/teach your own games. If you are willing or interested in teaching a game, let us know in advance so we can reserve a table for you (email us at novaboardgamegroup@gmail.com). Gaming starts at 7:00pm, so please plan to arrive early to grab a seat. See everyone on game night!